ARP Rocker Arm Studs If you have ever installed a rocker stud into a cylinder head and watched it wobble as it screwed in – you knew from the beginning that the rocker geometry was going to be inconsistent all over the place. 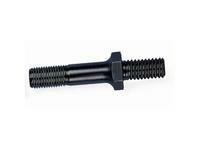 NOTE: To verify the application and part number, please review the various dimensions: B) overall stud height, C) screw-in thread depth, D) adjuster thread depth, E) shank diameter and thread, F) base diameter and thread. 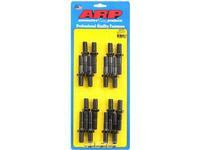 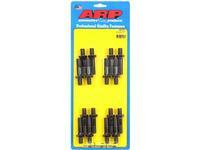 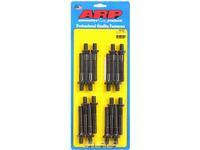 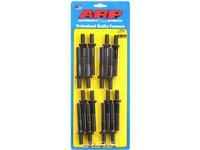 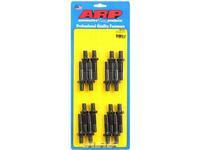 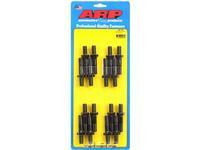 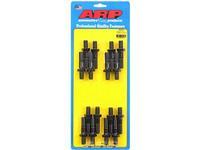 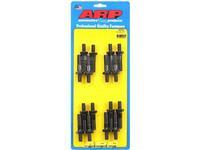 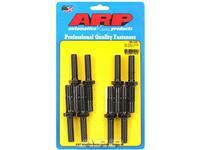 ARP Rocker Arm Studs 7/16-20 in. 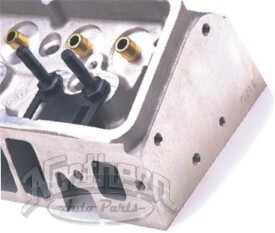 Thread, 1.900 in. 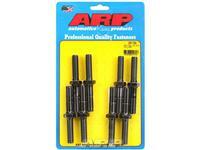 ARP Rocker Arm Studs 7/16-20 in. 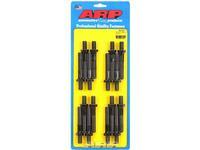 Thread, 1.90 in. 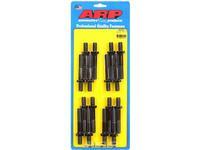 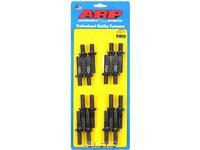 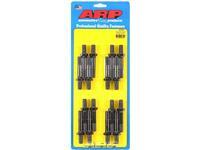 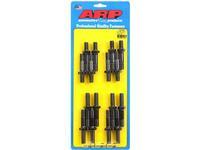 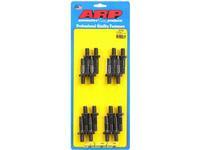 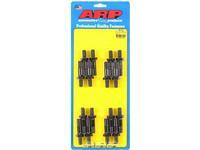 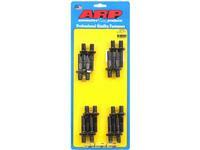 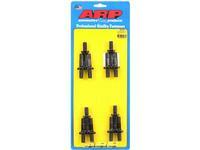 ARP Rocker Arm Studs w/ Roller Rockers 3/8-24 in. 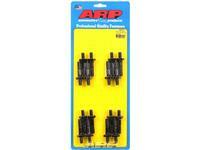 Thread, 1.895 in. 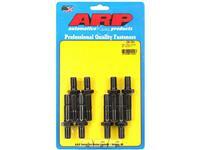 ARP Rocker Arm Studs 7/16-20" Thread, 1.900"
ARP Rocker Arm Studs Chevy Big Block 7/16-20 in. 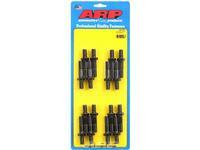 Thread, 1.75 in. 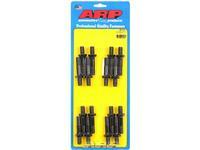 ARP Rocker Arm Studs Chevy BIg Block 7/16-20" Thread, 2.35"
ARP Rocker Arm Studs 7/16-20" Thread, 1.90"
ARP Rocker Arm Studs Ford SB 7/16-20" Thread, 1.90"
ARP Rocker Arm Studs SB 3/8" Applications 3/8-24" Thread, 1.75"
ARP Rocker Arm Studs SB 7/16-20" Thread, 1.77"
ARP Rocker Arm Studs Big Block 7/16-20" Thread, 1.75"
ARP Rocker Arm Studs 7/16-20" Thread, 2.000"
ARP Rocker Arm Studs Intake Studs 7/16-20" Thread, 2.000"
ARP Dart Rocker Arm Studs 7/16-20" Thread, 2.000"
ARP Exhaust Studs, Rocker Arm Studs 7/16-20" Thread, 2.000"
ARP Intake Rocker Arm Studs 7/16-20" Thread, 2.000"
ARP SVO 351 Rocker Arm Studs 7/16-20" Thread, 3.000"
ARP Rocker Arm Studs 1964-Later Pontiac 7/16-20" Thread, 2.000"
ARP Studs Roller Rockers & Stud Girdle 7/16-20" Thread, 1.900"
ARP Rocker Arm Studs 7/16-20" Thread, 2.100"
ARP Rocker Arm Studs SVO 351cid 7/16-20" Thread, 3.000"
ARP Rocker Arm Studs SVO 351cid 7/16-20" Thread, 2.800"
ARP Rocker Arm Studs SVO 351cid 7/16-20" Thread, 2.700"